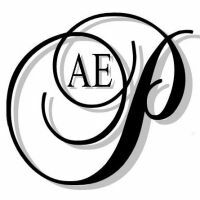 Additional Info: AEPortraits is a portable Photography studio servicing Halifax, NS and it's surrounding areas. Having a portable studio at your service means there's no more worrying that you forgot to bring your daughter's favorite toy with you, because you know she wont smile without it. It also means there's no more excluding the family pet. There are just so many reasons to have a photographer who will come to you, and like any other studio we have a variety of backdrops and props for you to choose from. If you prefer we can also do your shoot outdoors or in my home studio. We specialize in several areas including Weddings, Pets and Boudoir portraits. There are several online galleries on our website showcasing our work, plus our website features full pricing information. Fees: Standard Portraits - $150/hr*, including a portrait DVD. Boudoir Portraits - $200/hr*, including a portrait DVD. Weddings - Starting at $450*, for a full list of packages and pricing options please see our website. We have 4 different packages for you to choose from plus several budgeting solutions. We will even custom create a package to suit your personal needs.